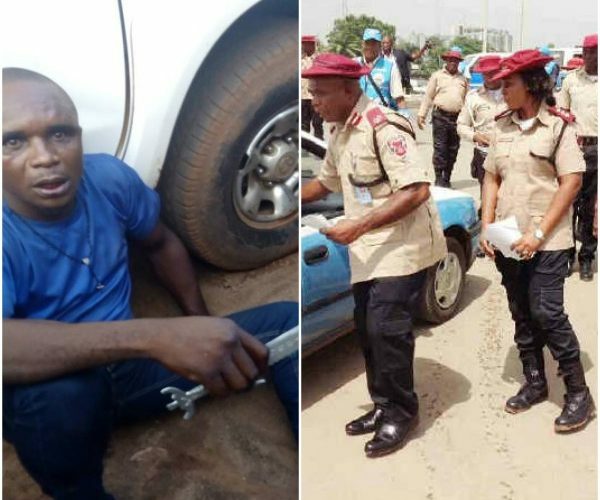 A commercial driver identified as Donatus from Enugu state on Tuesday stabbed Federal Road Safety Commission (FRSC) officers in Otukpo after been pulled over for reckless driving. However, in an attempt to escape, he repeatedly stabbed the two officers that approached him and drove off. 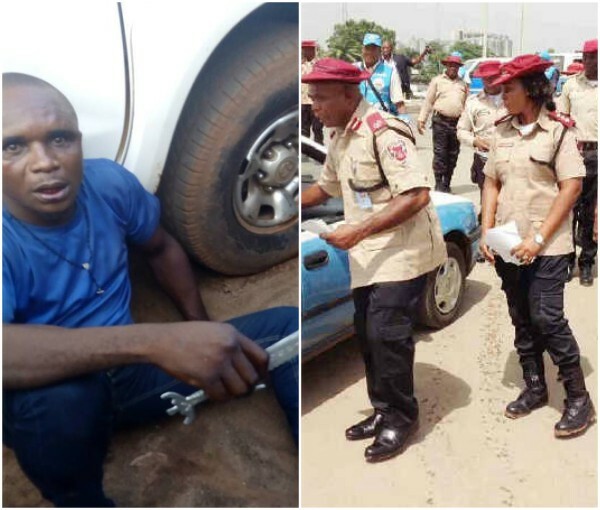 The driver was traced and arrested by members of a local vigilante group alongside some officers of FRSC Otukpo branch. 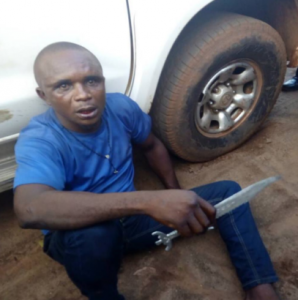 Donatus was handed over to the police with two daggers found on him. Speaking, Donatus said he didn’t plan kill the officers. “It was what I used as collateral. I was only angry and trying to protect myself,” the driver claimed. When contacted, Moses Yamu, Benue State Police PRO said he was not aware of the incident at the time of this report.